Boundless Ethiopia Tours PLC is an owners-managed Ethiopian company founded in 2010 by the Ethiopian-Dutch couple Mariamawit Tesfaye Baheta and Hans van der Haar. Together we have over 15 years professional experience in travel and tourism. After being on the road for a long time we started Boundless Ethiopia Tours to combine our passion for traveling in Ethiopia with having a more solid base in our home town Addis Ababa. We like to introduce you to Ethiopia with it's fascinating history, colorful culture and extraordinary nature and above all the very hospitable people. You are looking for a tour operator who really knows Ethiopia and takes the time to listen to your requirements to design the perfect tour for you? A tour operator who is very flexible and doesn't mind to keep on fine tuning until the tour is exactly what you want? A tour operator who cares about you but also about where we take you and works according to the principles of responsible and sustainable tourism? Well, keep on reading: that's us! We pay a lot of attention to select and train our staff. Every staff member knows what we at Boundless Ethiopia Tours find important about traveling in Ethiopia. Above all they consider you as their personal friend and will go that extra mile to make your visit even more unforgettable. A wide range of accommodation is available in Ethiopia but don't expect luxury. For example, only a few truly 5 star hotels are available in Addis Ababa. Most destinations have a few Tourist Class Hotels which are considered 'best in town'. According to international standards they don't go often beyond 3 star. Even the best hotels sometimes have problems with water or power supply. Don't expect everything working all the time. In the better hotels a reasonable number of staff speaks English and the restaurant is often one of the best in town. Ethiopia is a large country and the highlights are far apart. It seems obvious to use the network of the very reliable national carrier Ethiopian Airlines but Ethiopia has so much more to offer than only the highlights and the scenery is spectacular. We recommend to travel all over Ethiopia by road and take ample time to explore on foot. Whether to enjoy the beautiful scenery, a colorful market or what ever you come across while on the road. Having said that, we understand that available time is not unlimited and choices have to be made. Many tours have at least one domestic flight in their itinerary. We care where we take you! 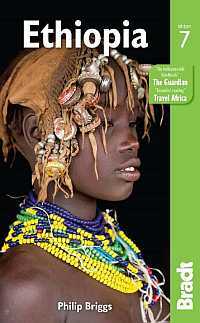 Boundless Ethiopia Tours is organizing tours based on the principles of responsible and sustainable tourism. To put it short, respect for local community and environment is paramount and the local economy has to benefit from your visit. Negative impact of tourism has to be addressed. This is easier said than done and it requires commitment from everybody involved: touroperators, local communities, (local) government and the tourists. Only together we can keep tourism development healthy.